Manikarnika The Queen of Jhansi (मणिकर्णिका झाँसी की रानी) Bollywood Upcoming Movie 2018 is a historical Indian biographical film On The Life of most fierce warrior Rani Laxmibai Of Jhansi. 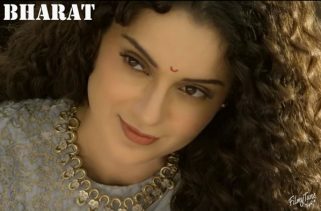 The Starcast of this new film Kangana Ranaut, Jishu Sengupta, Suresh Oberoi, Danny Denzongappa, Atul Kulkarni, Misti, Unnati Davera, Zeeshan Ayub, Rajeev kacharo, Nihar Pandya, Kulbhushan Kharbanda, Manish Wadhwa and Ankita Lokhande. Radha Krishna Jagarlamudi is the Director. Production Companies are Kairos Kontent Studios and Ease My Trip, also the Movie release date is 25th January, 2019. Music Composed by Shankar–Ehsaan–Loy. Lyrics by Prasoon Joshi. The Music originally belongs to Zee Music Company.